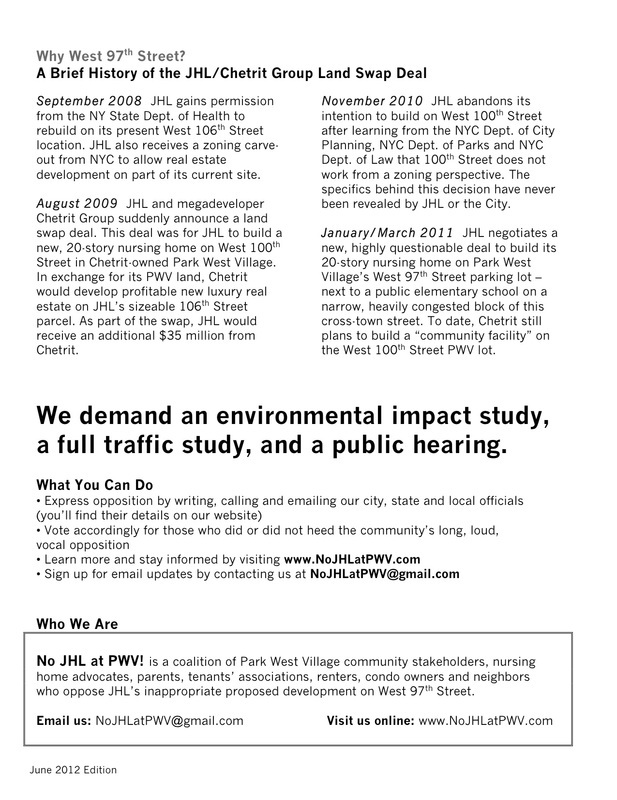 More You Can Do - No JHL at PWV! This page is an "Historic" page and can be used as background information. The 97th Street Community banded together with the community at large to demand an Environmental Impact Study and succeeded! 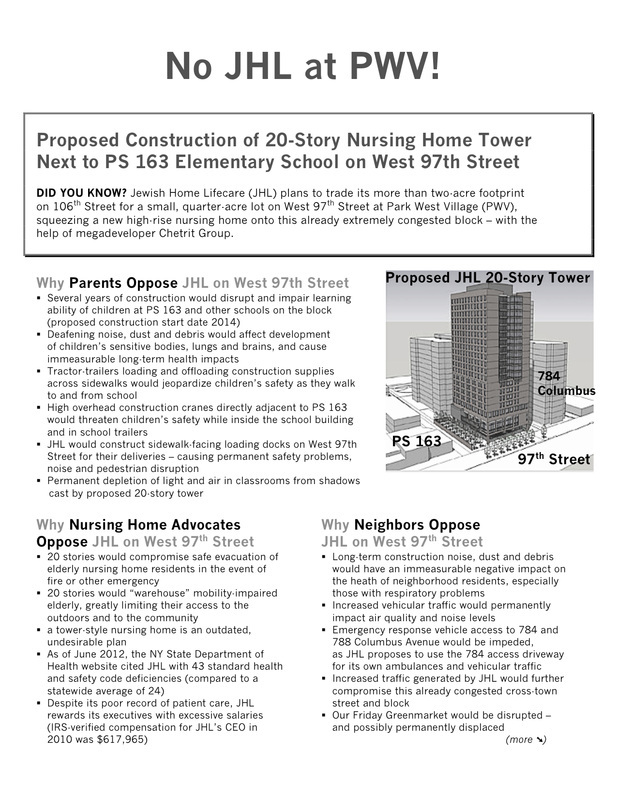 The first Public Hearing was held September 17th, 2013. Please click on our ﻿Home Page﻿ for more recent events. Thank you. Demand an environmental impact study, a full traffic study, and a public hearing.